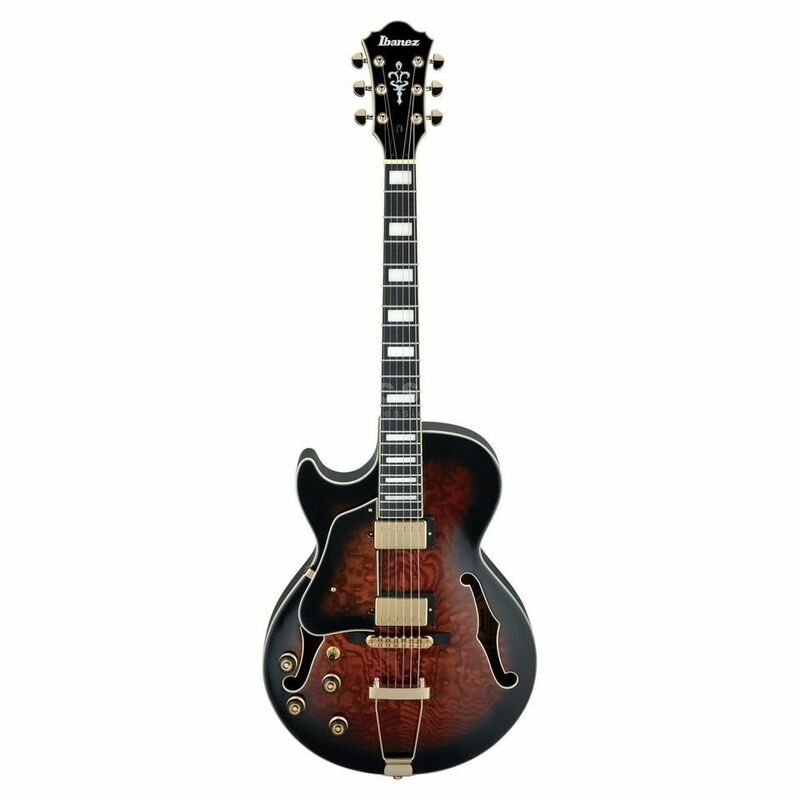 The Ibanez Artcore Expressionist AG95QA-DBS Leftthand Dark Brown Sunburst is a premium Hollow Body Jazz guitar for lens-handers that offers premium sounds and a solid look at an attractive price. Ibanez uses intensively drawn ash laminate (quilted ash) for the tops, backs and sides of the large full resonance body, which gives the sound a sonorous coloration. The glued neck, on the other hand, is made of three pieces of mahogany and maple, while the "Expressionist AG" profile guarantees optimum playability on the ebony fingerboard. Two Ibanez Super 58 humbuckers are used for the electric sound conversion. The warm, finely nuanced sound of these classics skilfully incorporates the resonant coloration of the hollow body construction. In addition, the Ibanez Artcore Expressionist AG95QA-DSB is equipped with high-quality hardware in the form of a height-adjustable ART-1 bridge with matching VT06 tailpiece and precise Ibanez die-cast tuner. The Ibanez Artcore Expressionist AG95QA-DBS Lefthand Dark Brown Sunburst is a first-class jazz guitar with a dignified look.